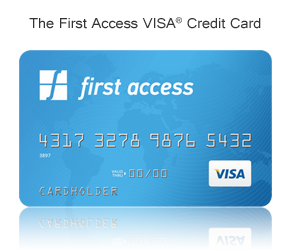 If you have received you new First Access Visa Credit Card you can activate it here by entering the information below. Click here to lookup your application if you have not yet completed it. Note that it can take up to 10 business days to receive your new card once your application has been approved. 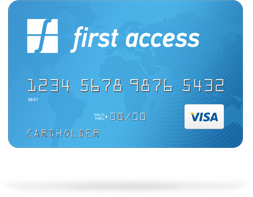 You can activate your new First Access Visa® credit card over the phone. Please be sure to have your card with you when you call in. Still here? Your application session is about to expire. Please click below if you would like to continue your application, otherwise you will be logged out.